RoadSafe: Child car seats found to be incorrectly fitted. Child car seats found to be incorrectly fitted. Figures published by Good Egg Safety show a 47% increase over the last eight years in the number of child car seats found to be incorrectly fitted. Good Egg Safety points out that ‘child casualties are on the rise’ and says parents rely on advice from car seat retailers on how to properly fit seats. However, in tests carried out in 2017 by the community interest company, more than nine out of 10 retailers from across 146 stores failed to give the correct advice – despite this being ‘freely available’ through Good Egg Safety. In response to retailers ‘falling short’, Good Egg Safety is encouraging parents to download its free checklist which outlines the questions they need to have answered in order to be more confident that the seat will protect their child. 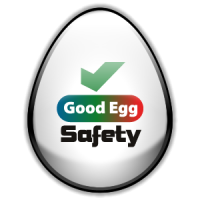 Good Egg Safety has founded a joint industry group of leading retailers, child seat manufacturers and road safety organisations and the 2017 results have been shared with them to help bring about change.